New York, New York. It’s hard not to be drawn in by the city of dreams with its gleaming skyscrapers, sense of purpose and hustle and bustle. But look away from the Big Apple and the wider New York State awaits. Fly over the Atlantic and pick up your hire car at JFK Airport. You can see all the sights of the famous city before driving out to embrace the natural splendour of New York State. On these roads less travelled, you’ll find mountains and lakes, castles and carousels, quirky towns, rustic farm-to-table restaurants and history aplenty. Explore New York State region-by-region with this guide. 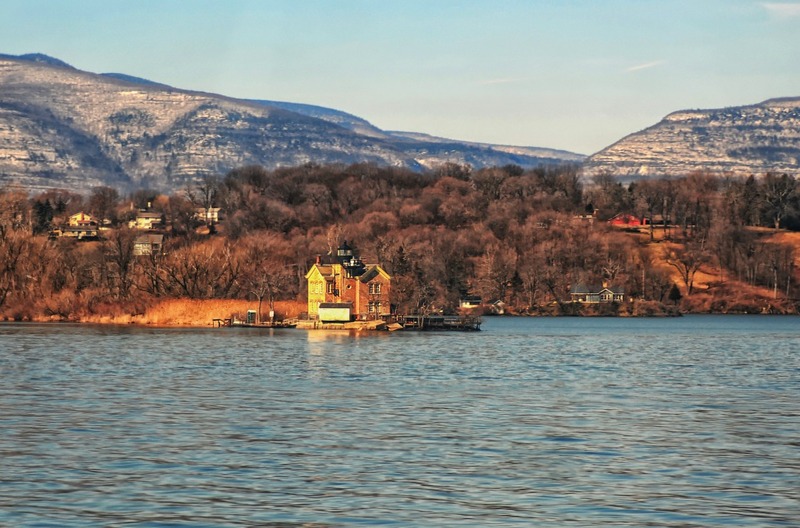 Immediately north of the Big Apple, the Lower Hudson Valley is like a bucolic dream after the brilliant chaos of the city, characterised by thick, green forests and gently rolling hills. The landscape has inspired generations of artists, including the notable Hudson River School movement, and makes for a beautifully scenic drive. Follow the curves of the Hudson River to the idyllic village of Cold Spring on the east banks. This charming community feels like it’s been lifted straight from the pages of a novel, with its archetypal main street, independent boutiques and vibrant art galleries. 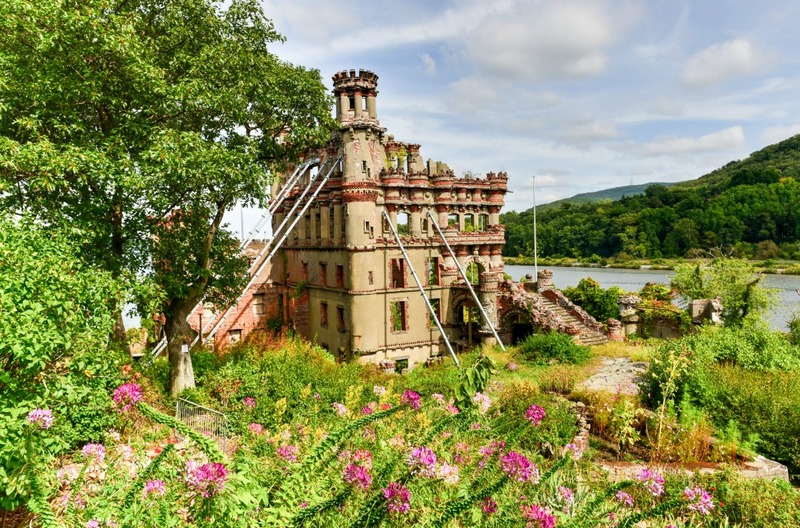 Just a few miles away is Bannerman Castle, a dilapidated yet ever-romantic fortress built on Pollepel Island. The story of this crumbling ruin, which was constructed at the start of the 20th century, is surprisingly dark. Join a tour to find out about its role as a weaponry arsenal. Foodies will need to reserve well in advance to bag a table at Blue Hill at Stone Barns. Once featured on the prestigious Netflix show Chef’s Table, this wholesome restaurant is often listed as one of the world’s best. It’s locavore all the way – indeed, the restaurant has its own farm which provides almost everything on your plate. The Catskill Mountains are the go-to vacation spot for countless New Yorkers – whether swimming, skiing or cycling. In winter, the dense, forested mountains are blanketed with snow, but it’s autumn that’s truly spectacular here, when the leaves come aglow with rich shades of russet and ochre. In the Northern Catskills, the ski season usually runs from November to March. Arguably the best resort in the region is Hunter Mountain, with more than 50 trails to choose from, ranging from beginner to expert, plus an adrenalin-pumping zipline and a snowtube park for families. Windham Mountain resort boasts a similarly impressive number of trails. However, it’s the world-class, snow-making facilities which give it the edge, ensuring perfect skiing conditions all year round. There are a number of treasured lighthouses on this stretch of the Hudson River. The Saugerties Lighthouse, built in 1869, is one such example. You can spend the night in this rustic red-brick building, venturing up to the original look-out spot to soak up the natural beauty of the surrounding scenes, both day and night. Around half an hour’s drive north, the Hudson-Athens Lighthouse offers another picturesque setting, sitting pretty on a caisson in the river. Join a tour to explore the inside of this functional lighthouse and find out more about the family who once lived there. Albany is the state capital of New York. It’s a smart city, home to official government offices in the ultra-slick Empire State Plaza and the New York State Museum – but it has a playful side too. Discover the city’s creative scene by going on an urban art trail. You’ll find painted walls and colourful murals all around, created under the #CapitalWalls project. Multi-storey car parks and other uninspiring blank spaces are being transformed into eye-catching murals one-by-one. “Love Goes On” is a recent addition by British graffiti artist Nick Walker, tucked away on 45 Hudson Street. Travel north from Albany into the Adirondack Mountains, which roll on into Canada. The forests and lakes that pepper these peaks are ripe for adventure. You can hike, mountain bike, canoe and more in this vast and beautiful playground. The action-packed waters of Lake George are ever-popular. In the summer, you can go on a cruise, get stuck into some watersports or relax in the sun. During the winter months, the seasonal fun gets into full swing – and an ice sculpture piano is just the start. The lakeside town, which shares the same name, is lined with welcoming restaurants and shops to keep visitors entertained throughout the year. 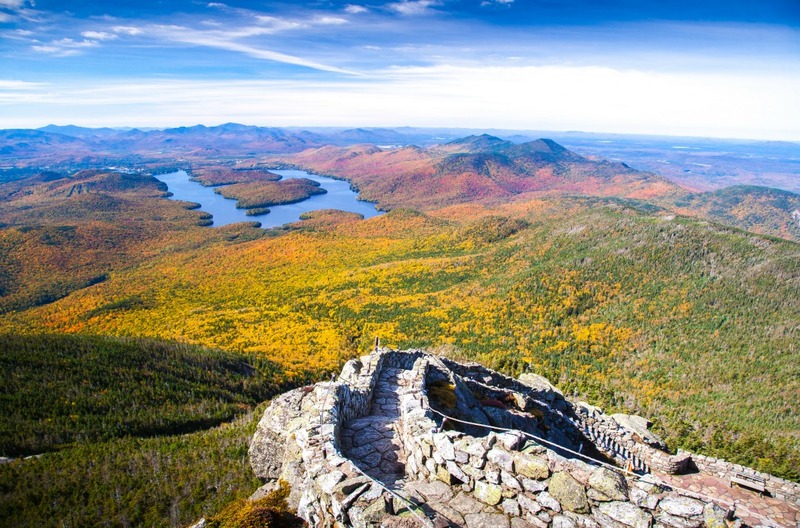 Whiteface Mountain is one of the highest peaks in the Adirondacks. You can drive most of the way, then park up the car and walk up the rocky staircase to the summit. At the top you’ll find a castle built into the mountainside, but it’s the views that steal the show. On a clear day, you can see as far as Canada. Standing in the waters of St Lawrence River, little more than a mile from the Canadian border, is the unmissable Boldt Castle. This Gothic masterpiece was built as a summer home for a wealthy couple but was abandoned abruptly in the early 20th century when Mrs Boldt died. Board a boat to reach the shores of Heart Island, the castle’s suitably romantic location, and explore this palatial setting both inside and out. The eight counties of Central New York harbour a number of small towns, some of them utterly modest, others jostling for attention with bizarre claims to fame. Take Binghamton, for example, which prides itself on its collection of antique carousels. These hand-carved wooden pieces are beautiful in their craftsmanship and free to ride. When you’ve had a whirl, sink your teeth into a local ‘spiedie’ – a meat-filled sandwich – before continuing on your way. 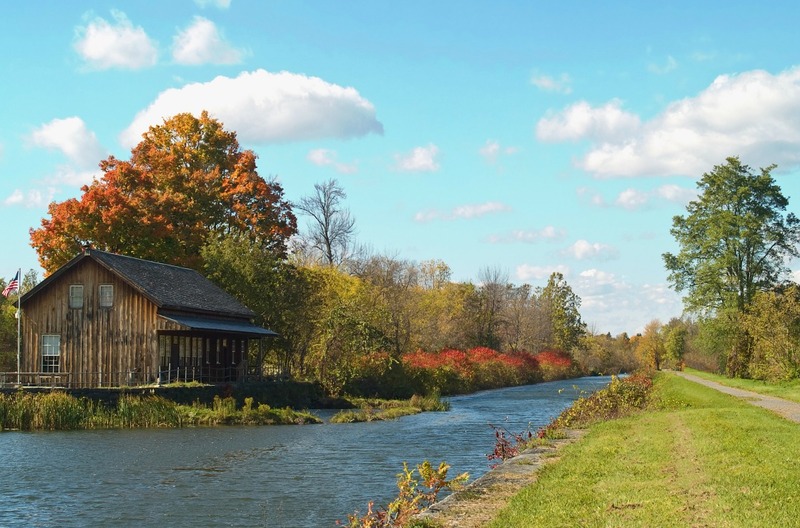 Follow the route of the Erie Canal as it flows from Lake Erie to the Hudson River, either by car or on foot. The 19th-century canal is 350 miles long, passing through 35 locks and countless towns on the way. If you decide to walk, you’ll often be accompanied by cyclists and, in winter, cross-country skiers too. If you’re travelling with children, call by the Sylvan Beach Amusement Park on the shores of the Onedia Lake. The hair-raising rollercoasters and rides are a dynamic way to break up the day. Formed by ice age glaciers, the Finger Lakes are a stunning collection of waterways which give the region its name. A grand total of 11 lakes ripple among New York’s farms, scenery and vineyards. Indeed, this area was recently voted the finest wine region in the whole of the US, so leave your car at the hotel for the night and sample the vintages at your leisure. The college town of Ithaca is nestled next to Cayuga Lake, surrounded by state parks and blessed with the beautiful Cornell Botanic Gardens. It makes a great base for heading into Watkins Glen State Park, a magnet for hikers with its plethora of waterfalls. Tick off Buttermilk, Taughannock and Rainbow Falls on your way. The city of Auburn, near Owasco Lake, calls itself History’s Hometown and, while that might be a bold claim, it does hold some riches. The home of famed abolitionist Harriet Tubman stands here as well as the stunning Tiffany glass interior of the Willard Memorial Chapel. Over in the west of New York State, the proud city of Buffalo sits adjacent to Lake Erie, the magnificence of the Niagara Falls within touching distance. Buffalo shines in summer with wonderful parks (designed by the same man who designed Central park) and lakeside attractions. The city is home to the Bills, the city’s American Football team, and a wealth of restored art deco architecture, including the majestic city hall. 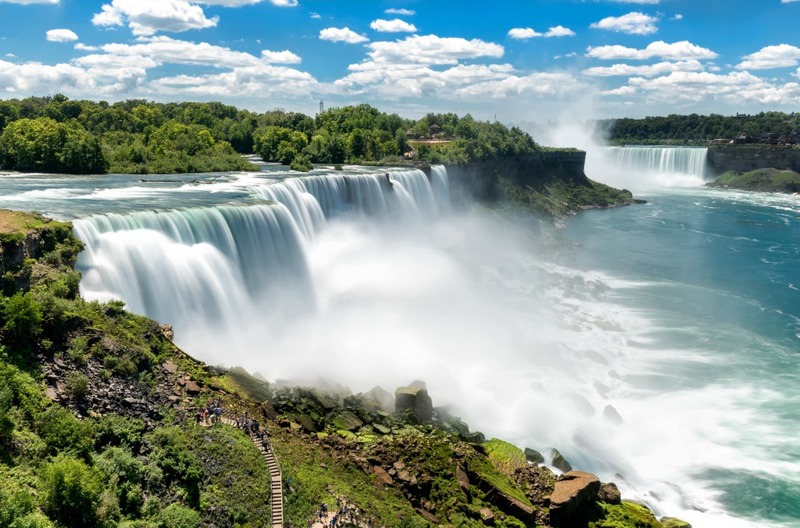 Niagara Falls is the world-famous collection of waterfalls which connect the US and Canada. On the New York side, you can marvel from a distance or get close – and soaked – on a boat tour right up to the thundering water. It’s a bucket-list classic and one that never falls short. The scenes are somewhat more peaceful in Letchworth State Park, nicknamed the ‘Grand Canyon of the East’. There’s a trio of waterfalls on the Genesee River, tumbling through the flourishing, forest-lined cliffs. You can white water raft and kayak here, although one of the best views can be found in a hot air balloon. This merely scratches the surface of New York State, a place full of unexpected adventures, stories and natural beauty. Organise car hire in New York to plot your path through this beautiful corner of the US and go on a state-wide trip to remember.